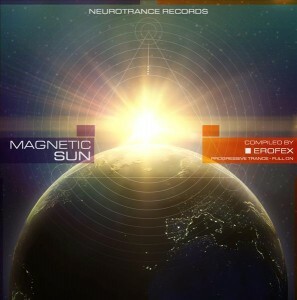 Get ready for Magnetic Sun, groovy and delightful progressive and full-on trance coming straight from the Neurotrance Records headquarters to a dance floor near you! Frisky rhythm patterns and deep, melodic take-offs provide blissful inspiration for both body and mind. Compiled and mastered by Erofex with artwork by metzAnima. MP3 Download | FLAC Download | WAV Download · Download count: 11,729. First track crushes my head!!! metzAnima & TerraSound – Psyxinawa !!! metzAnima & TerraSound – Psyxinawa is a wicked, wicked track! One more vore for metzAnima & TerraSound track!